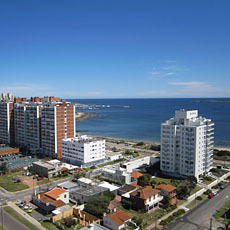 Apartamento de dos dormitorios y dos baños, principal en suite, capacidad para cuatro personas; terraza con parrillero, vista hacia la playa Mansa y los atardeceres de Punta del Este. 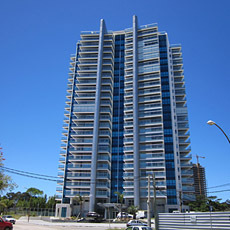 Located at the stop 18 of the Mansa beach three blocks from the beach, modern building with apartments with two bedrooms and two bathrooms, main en suite. 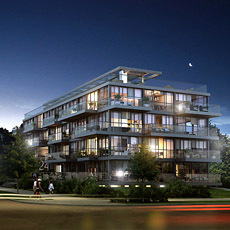 Architecture sleek, beautifully designed prioritizing natural light environment suburb. 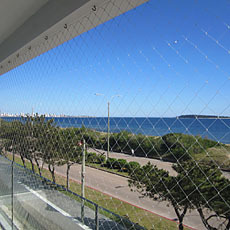 16th floor duplex with private terrace with beautiful views over the bay of Punta del Este. 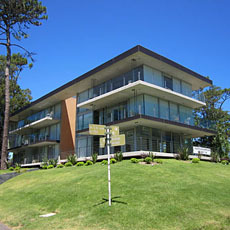 The apartment floor has two bedrooms and two bathrooms, main en suite to the front side of the building, kitchen with laundry, closed balcony in L with barbecue. 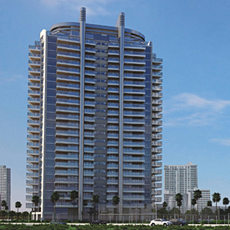 Horizonte: two bedroom, two bathroom apartment with oceanfront service unit on Mansa beach. 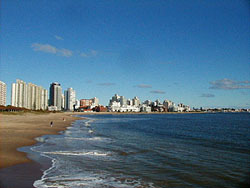 Beautiful apartment facing the sea on the beach Mansa. Two bedrooms and two bathrooms, master en suite, plus service unit with bathroom.